Super Bowl LI is coming up on February 5, 2017. But before the Atlanta Falcons and New England Patriots kickoff, vomFASS has a few cocktail recipes you may want to try. vomFASS is a European-style store selling imported oils, aged vinegars, wines, spirits, liqueurs, and specialty foods. vomFASS Naperville opened in November 2016 and is the only Illinois location, and one of only 35 in the entire United States. 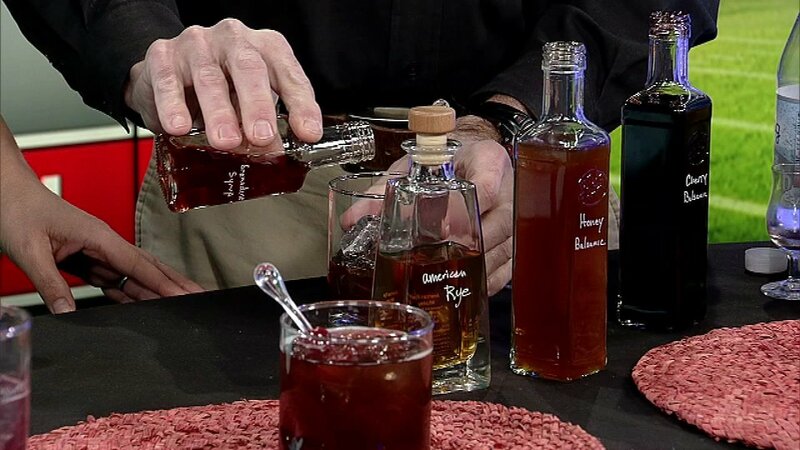 Michael Aldrich, owner of vomFASS Naperville, joined ABC 7 to show off a few cocktails perfect for your Super Bowl party. Measure the vinegars and pour into glass over ice. Add the seltzer, garnish and enjoy. Tip: For a fizzier drink, make sure the sparkling water is chilled, and add it last (after the other ingredients) to promote even mixing without stirring.